A few months ago I had a client requirement for PDF generation, in this case to generate certificates that could be viewed online or printed. I spent some time looking into the best Drupal options available and picked up some advice along the way on how best to accomplish these aims. After mentioning my results to several people, it seemed that PDF generation was a common requirement and now I have the same need again on a personal project, so it seemed a good case study to walk you through what I found. If your requirements are simple, it may be easier to just to tell your website users to print and there’s nothing stopping them doing this. If we want a level of control over what is printed or we want to distribute files for printing, then we need to look into other options. PDF generation takes a slight change of mindset. As web developers, we have spent a lot of time convincing designers from a print background to stop producing pixel perfect designs that will be difficult to reproduce on the web. If you want to introduce PDF generation or any form of high designed print output, then we need to relearn some of our old skills we left behind. The nature of print means that it is precise and often needs pixel (or millimeter) perfect design. There are two options in Drupal for creating PDFs. 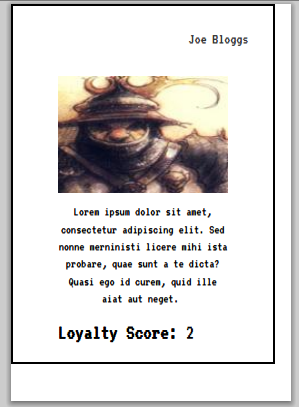 The Print module and Views PDF. Views PDF initially seemed the better option as it would allow us to leverage the power of views and the myriad options it offers. However, it has the PHP module as a dependency and as far as I know, is reliant on the eval() function. PDF generation has the potential to be a server intensive task and this method seemed inefficient to me, aside from my reluctance to ever have any kind of PHP evaluation module enabled in Drupal. This caused me to settle on the print module, which is also better supported and offers many other options for output that may prove useful. If you are installing under Ubuntu, I ran into some issues with the official archive, I recommend installing manually from the links above. Logo Options, Footer Options: Turned off for my example. Keep the current theme CSS: Enable this for theme consistency and less work. Let’s set how and where we want the links to display to reach our PDF / Print versions, admin/config/user-interface/print/ui. 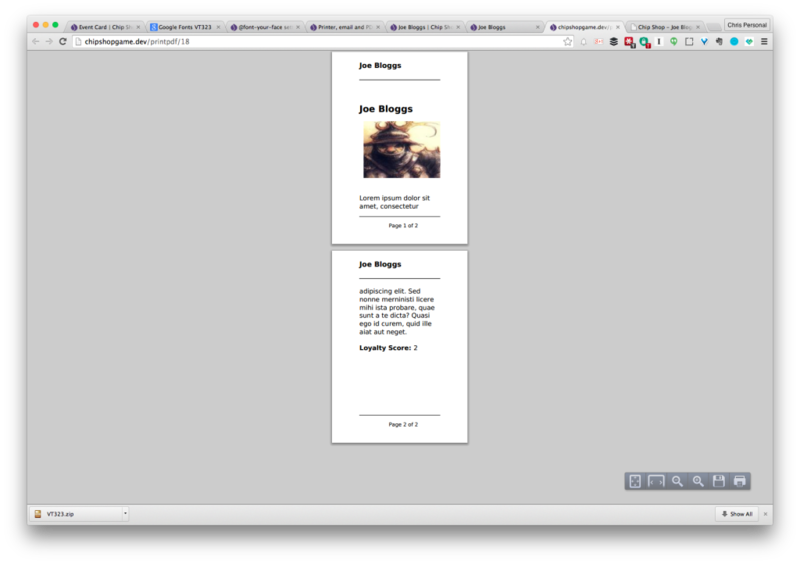 I am setting mine to be displayed in a block so I can have more control over layout. Paper size and orientation: Whatever is appropriate for you. For now I’m using A7 for my card, it’s not quite the same, but close enough for this demo. File name: I will use [site:name] - [node:title], you can use tokens here. Looking at wkhtmltopdf specifics, admin/config/user-interface/print/pdf/wkhtmltopdf. As wkhtmltopdf is a more advanced tool, it’s a command line based configuration, about which you can find more details here. This ensures that we have no margins added by wkhtmltopdf and can rely on our CSS output. We are also rendering at 300dpi for print. A quick note on images. There are options for setting image dpi rendering here, but of course if someone uploads a 72dpi image and it is upscaled to 300dpi, it will look poor. Getting this right is a combination of configuration and user training. If you want, the print module also supplies it’s own custom view mode so that we could duplicate the same display or use in combination with techniques mentioned above. The print module comes with its own style sheet (print.css, found in the module folder) that you can use to create styles that only apply to the print module rendered versions of nodes. 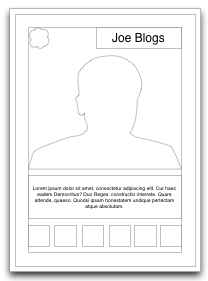 You will need to add a copy to you theme and add them to your theme’s .info file in the usual way. If you checked the option Keep the current theme CSS as mentioned above then the print module will use your main theme styles and then check the print.css file for any overrides that you only want in print module rendered output. This makes the most sense to me and feels like the tidiest option. If you don’t use this option then the print.css file is the only style sheet that will affect your output. The rest of this example will assume it is enabled. I am using a bootstrap sub theme which comes with its own markup that may be different from your theme. I have some custom fonts loaded through font-your-face and created a custom image style for the image, these field names also represent my fields added above. Image styles don’t let you define sizes in centimeters, to get the right size in pixels I used this tool. We have a particular print size we are trying to accomplish. You can specify sizes in CSS in a variety of units, so in our case I am using centimeters. This is because the print module is using our theme but a different tpl file, print.tpl.php. Copy it from the module and into your theme so we can make some changes. You can add --format to specify the output format, i.e. print--pdf.tpl.php. Now, what’s wrong with the fonts? Unfortunately we can’t use custom fonts that are on a remote server (in this case Google Fonts). I’m not sure if this is an issue with the print module (looking at print.tpl.php, it loads styles in a different way) or if it’s a wkhtmltopdf issue. I found a few other potential paths you may be able to follow if you can’t download your font, but I will assume you can and show a foolproof method. Download your fonts and add them locally, I’m putting them into theme/fonts, and add the following CSS at the top of your print.css file. Well, we still have a margin, but that’s because we’re not using the right paper size. So, that aside, this is pretty great! Hmm. 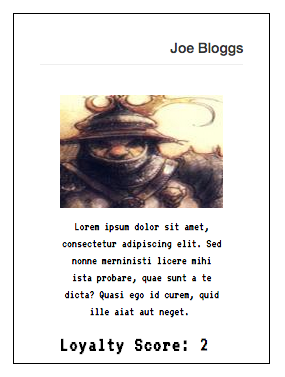 This is because I am using custom fonts and documentation mentions that with changes I can get this working. However, wkhtmltopdf worked for me straight away with no tweaking or sifting through documentation. It aims to produce a complete copy of HTML so is generally 99% accurate. With my last project (which was far more complicated) I found a few problems when using a couple of CSS techniques that were more appropriate to screen, but even those were fixable. Whilst wkhtmltopdf offers by far the best PDF output, setup involves installing an executable and this may make it unsuitable for many of you. However, I will make the assumption that if you are working with Drupal and need to achieve this level of layout complexity then you have access to your own server or VPS. Have you tried any form of PDF (or other formats) generation with Drupal? I would love to hear tips and tweaks that you found. I had tried getting wkhtmltopdf working a few months ago; however, I was unable to get it working. 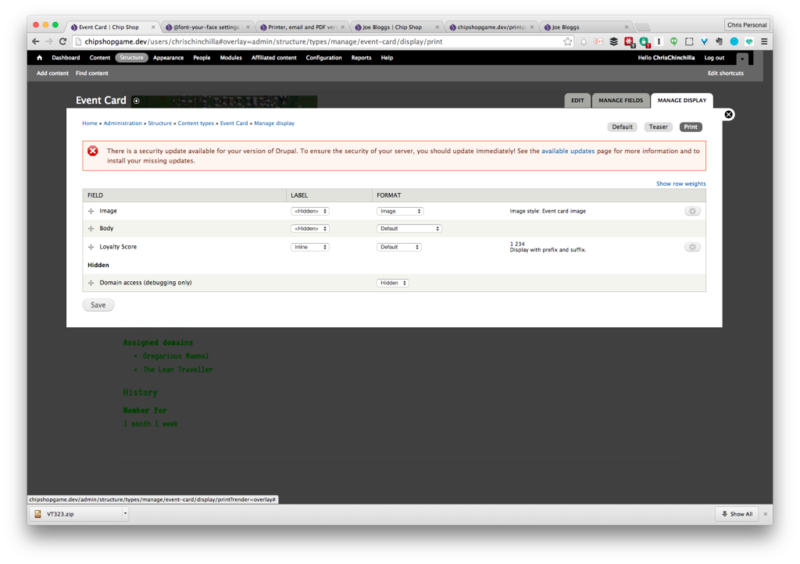 Seemed to be a problem at the Drupal integration level since wkhtmltopdf worked at the command line level. 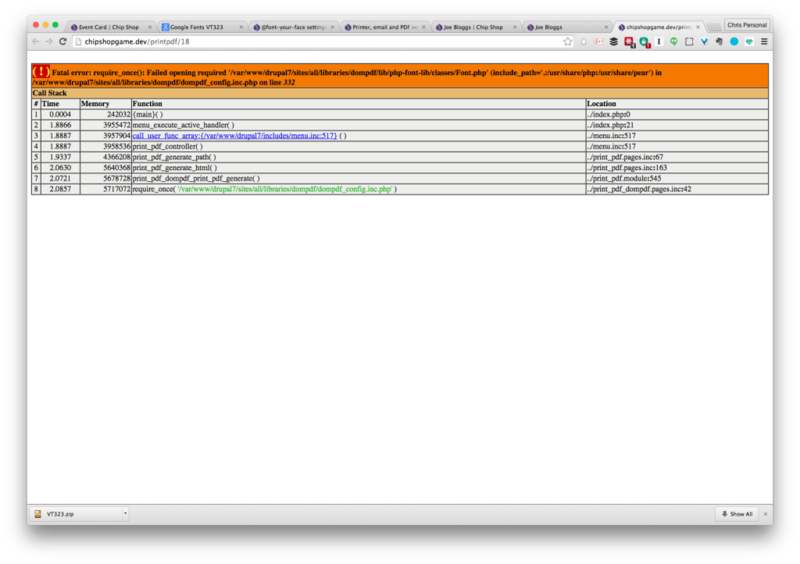 I was curious whether you had to do any specific tweaking to get wkhtmltopdf working with Drupal (e.g. had to use specific version of wkhtmltopdf, etc.)? 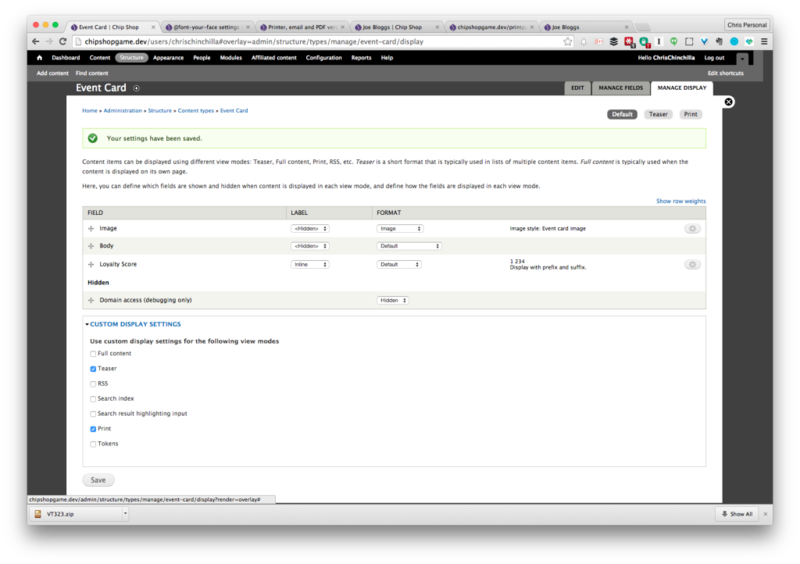 Hmm, the only tweaking I did on the drupal side was the dpi and margins mentioned above. You sym linked the executable into the libraries folder? What's your setup? And what errors do you get in logs? If you want something that is much more scalable and without limitations of html5/css3 inclusions, i encourage you to take a look at docraptor third party service. It's nominal cost and I created a plugin to the print module that works quite well. My issue with the other libraries were limitations in recognized styles as well as performance. I can send several hundred pages to docraptor with no issues. Everything else i tried failed on larger documents. I've been battling this issue for years. I started with htmldoc, and then went to wkhtmltopdf. While the second was better than the first, both of them require setting up a binary on the server which means that the code is not portable, especially in a shared hosting environment. I then tried PhantomJS, which is better again, and you can install the binary as part of your source tree, however it still isn't all that great. Which brings us to PHP libraries. DomPDF had various issues, I struggled to get it working properly (as you did). What I'm using now is mpdf, which I've found to be fantastic. It supports CSS properly (unlike wkhtmltopdf), is totally portable with your codebase, and to be honest I haven't found any issues with it. It just works really well. I'd really recommend trying it out. I remember coming across this module and there was a reason I didn't pick it at the time, can't quite remember why though. I'm wondering if it wasn't stable when I was looking. May give it a go with this project instead and report back.